Is The Trump Boom Already Over? President Trump’s victory in November set off a monster rally in big stocks, small stocks, stocks with high tax rates, and infrastructure stocks among others. It also led to a sell-off in sectors that were perceived losers from a Trump victory. 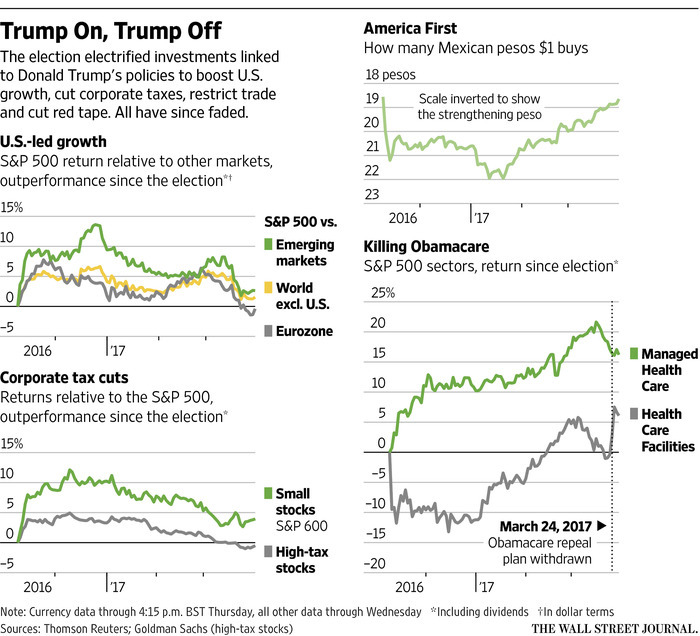 But as the WSJ explains in a power-packed chart (below), the Trump trade appears to be fading. What’s the takeaway for you? Markets, and the investors who make up those markets, have a tendency of over- and under-reacting to news.